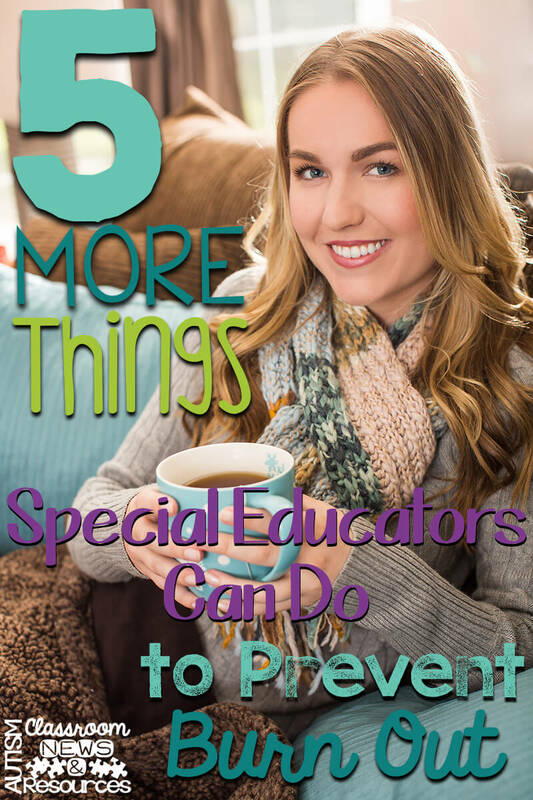 In my last post I talked about 5 things that can be done to prevent special educator burnout. We know it’s a huge problem and we are all facing it, especially at this time of year. That first post began as a DOs and DON’Ts post, but then I realized it was just too long. I mean, let’s face it, if you are already stressed out…reading a long blog post is probably not on your list of things to do for the day. So I’m breaking it up. Here are 5 MORE things you can do to keep yourself from becoming frustrated, upset, exhausted, depressed and just “not feeling it” when it comes to your job. I think this is one of the biggest mistakes most of us make. We know how things need to be done in the classroom and we tend to figure it’s easier to do it ourselves than to teach someone else to do it. In some situations we sometimes figure we’ll end up doing it anyway to get it the way we want it. There is not room for that superhero mentality in a special education classroom. There is just too much to do. You must delegate to your other staff. Collaborate with related service providers…they can help with resources like social stories and social skills supports that may have already developed for this student or one before it. Maybe she has materials you can use in your classroom so you don’t have to create 500 interactive books right now. Train your paraprofessionals how to implement things in the classroom. Work with them to take data, train them to make materials, and train them to implement instruction. Using the zoning plan to delegate daily routine jobs to them, like setting up schedules, so you can take those off your list. Yes, it will take time up front to show them and for them to get it the way you want it. However, taking a few weeks up front to show them how to do it, means the rest of the year being freed up for that same amount of time. Short term pain, long term gain. Collaborate with other teachers…whether in your district and community or online. Make use of resources that exist out there already rather than feeling you need to reinvent the wheel. You are not alone. For instance, one thing that takes tons of time for special education teachers is prepping materials. 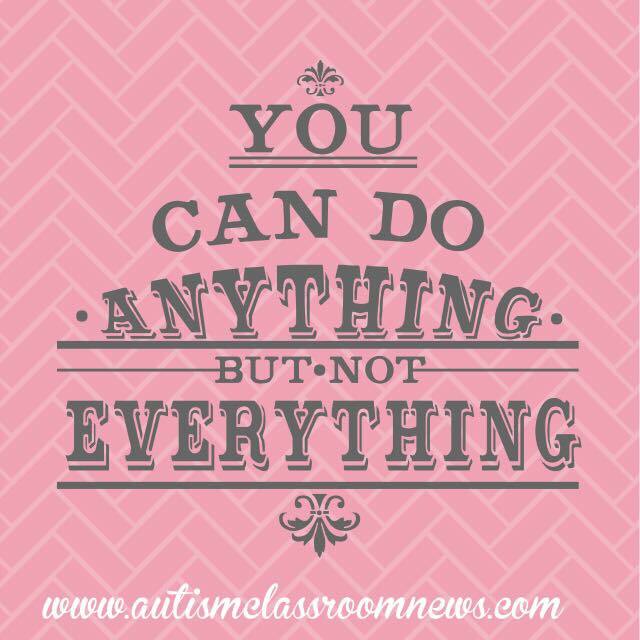 For some great ideas about how to delegate this and make it manageable, check out this great post from my friend Melissa from Autism Adventures on How to Get it All Done. Decide on a time you are going to leave each day and do your best to stick with it. Set aside at least 1 to 2 nights each week that the teacher bag stays at school–or at least stays in the car (I admit, sometimes just having it nearby eased my stress in case I woke up in the middle of the night and am raring to get something done!). On the nights you take work home, set a timer for how long you are going to work. Turn off the distractions (if you are writing IEPs or behavior plans or analyzing data rather than laminating and cutting) and aim to get the job done in the time you have allotted. Having a deadline will make you more on-task and less likely to drift away and extend the time you take to get it done. This is one trap that so many teachers fall into. Why did you want to become a teacher? Chances are good one of the answers was that you wanted to help people (or some variation of that statement). We want to help everyone; we want everyone to be happy. To be perceived as a good teacher. Most teachers are, by nature, people-pleasers. And because of that we set our expectations of what we can accomplish exceptionally high. While I’m very fond of setting high expectations, nothing will stress you out faster than not living up to your own expectations of yourself. Give yourself a break. You are human. Recognize that mistakes will be made. Things will happen that shouldn’t and things won’t happen that should. Should we strive to do the best job we can…yes we should. But if you are doing that to the point where you no longer enjoy it…you’re expecting too much. If this job stops being interesting, challenging and even fun….it’s more than time to cut yourself a break. Yea, this is another that is so much easier said than done, I know. However, it’s very real. As I said above, most of us are people pleasers. We want the parents of our students to think we are doing a great job with their kid. And the kids to like us. As well as our principal to see how hard we work. And the fact is that all of these people are all rolled up in their own stuff and they just may not be able to demonstrate that for you at this time. It’s not about you. It’s about them. They have their own stuff going on. That mother who doesn’t speak to you each morning in carpool…it’s not that she doesn’t like you but she’s going through problems in her marriage, she has at least one child with special needs, she is trying to hold down a job and make a home for her children. That’s what’s on her mind….it has nothing to do with you. Sometimes it is more personal, but you have to let it go. Sometimes the principal just doesn’t get it. Then you have to know that you are doing the best that you can do and carry on. Sometimes a parent just doesn’t like you. It probably has a lot more to do with the services his/her child is getting than with the person delivering them. You can’t control what others do toward you or think about you. But you can control how you think about yourself. Do what needs to be done and know that you have done that. If you have doubts that you are doing a good job, seek feedback from a colleague you respect. If you want to second guess something you are doing because you think it is not going well, consult with someone you can trust to give you honest feedback. And then, if the honest feedback is that you are doing what needs to be done, convince yourself to be OK with that. And finally, whatever you do, hold on to why you are here, in this job, at this time, doing what you do. 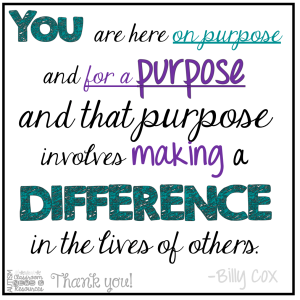 Chances are good that if you read this blog, you are dedicated to what you do and you have found a purpose and a calling in doing it. That’s not something to be taken lightly and its’ something that continues to be badly needed in the classroom. Write it down. Post it on your desk, or your mirror, or wherever you keep inspirational material. And always keep that reason in your mind above all else. Bad day got you down? 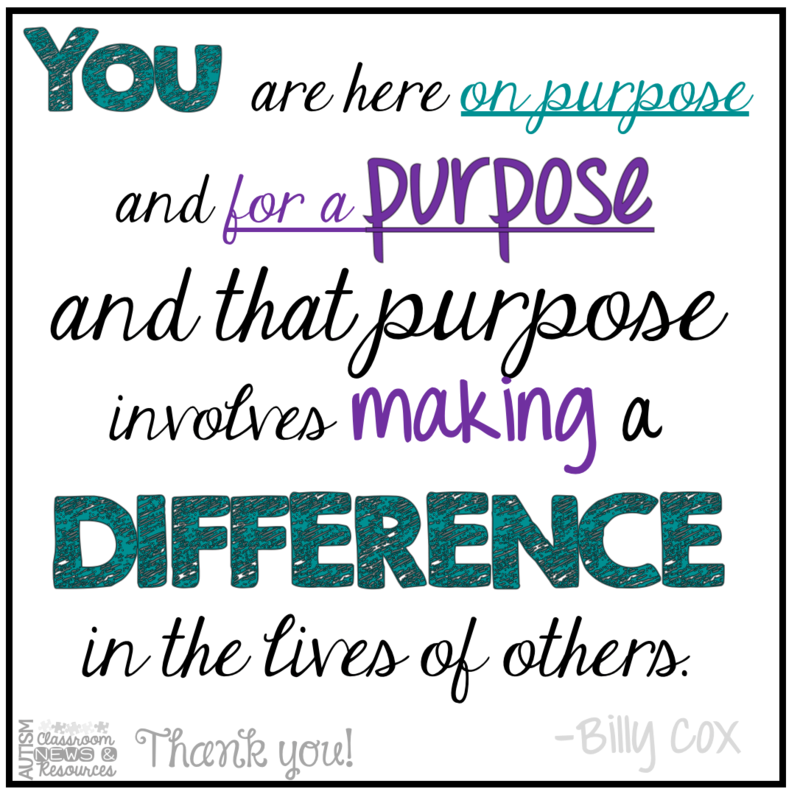 Remember the positives of your job and remember that you are making a difference. And that is no small thing! Remember the positives of your job and remember that you are making a difference. I hope that this is helpful. 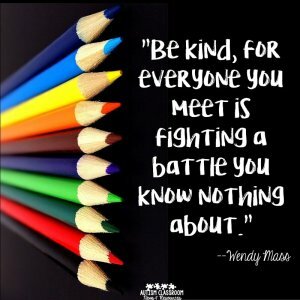 Please know that you are not alone. 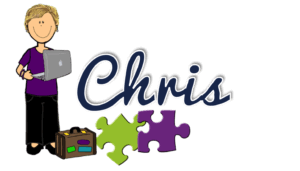 Are you part of the Special Educator Academy? If you aren’t, you might want to check it out…our community is really rocking and right now this is a pretty big topic. Find out more about it here. 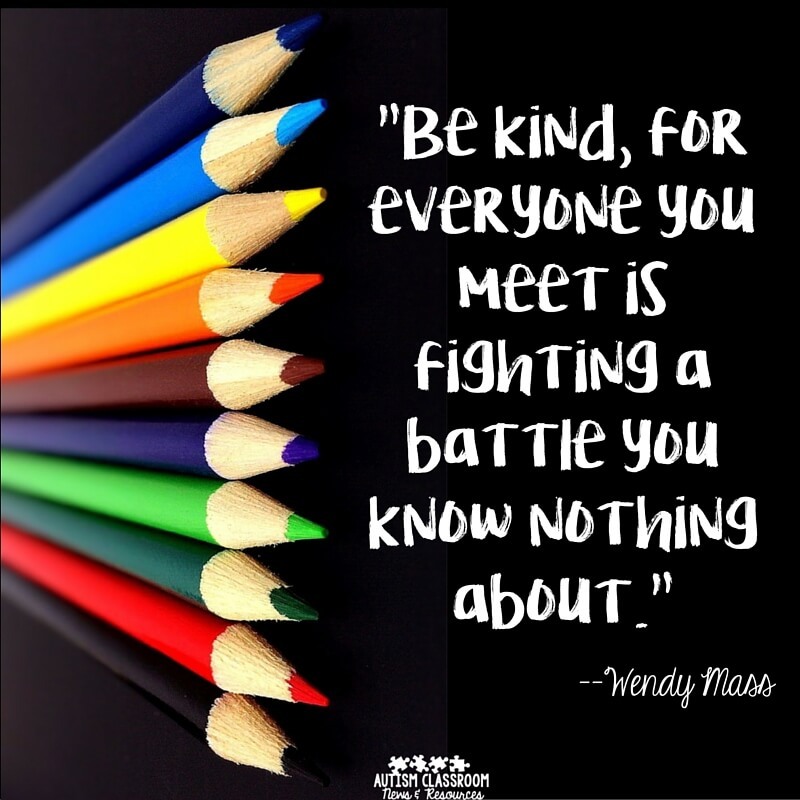 Wonderful reminders and food for thought, thanks! Thanks for the beautiful message I am so happy to have found such a post. Thank you so much! I’ve been really discouraged lately and your post put a lot into perspective for me. Thank you. Good! I’m glad it helped! Hang in there!